Nanjing eight most have the acteristics of Qinhuai flavor snacks. 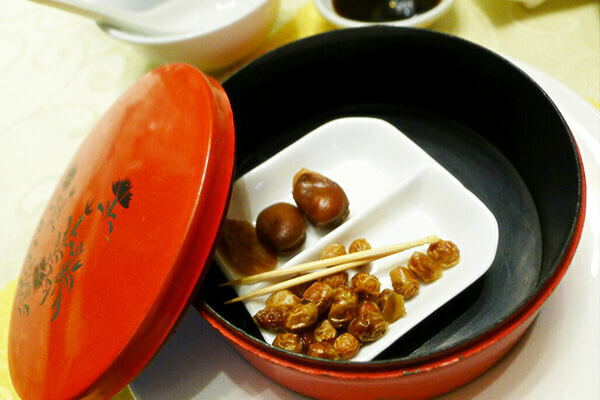 Hot dry silk and shells Shaobing Huang Yonghe garden tea service of traditional varieties, Yonghe park is famous to Weiyang dotted, colored dessert has over a hundred kinds of. The “hot” but a stunt, the cut thin and well proportioned dry silk with boiling water repeated hot four to five times, the dry silk completely remove all of the beany flavor, with spices, sesame oil a saucer and their mixing edible, memorable. Yellow crab like appearance due to Clay oven rolls crab, the color of cooked crab named. 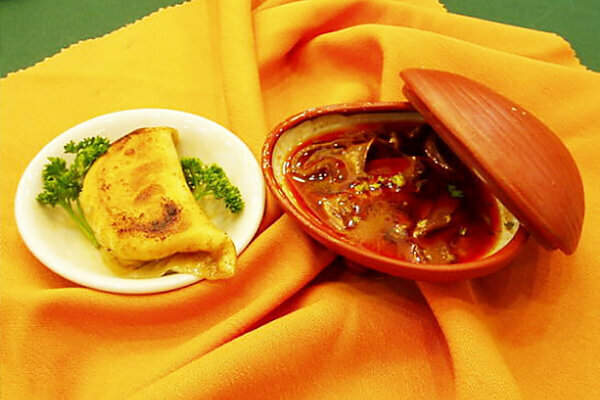 Jiang has in mind is a time-honored halal fried dumpling shop, founded in mid thirties of last century, located in Gongyuan West Street, and Fang Qi Ge are connected into a whole, simple and elegant, with rich Islamic ethnic style. 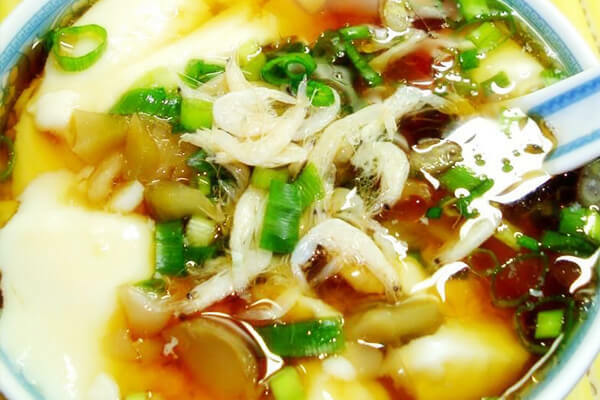 Baked Scallion Pancake and tofu curd is a famous snack restaurant in Confucius Temple six phoenix. Home of the six Feng Baked Scallion Pancake, old Nanjing people such as: “the food caught by hand to eat out, can’t pick up on the ground.” A Baked Scallion Pancake, a tofu curd, let a person very satisfied. 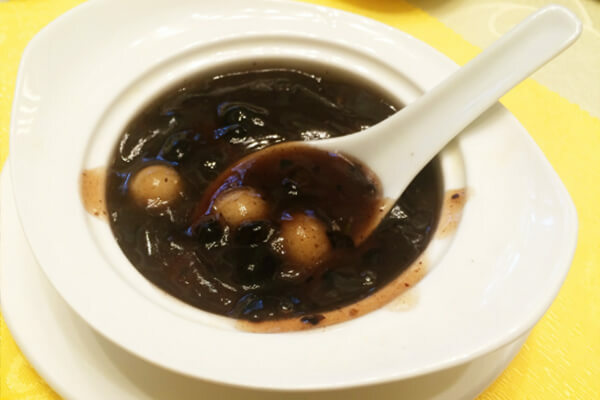 The annual Lunar New Year in April, Qi Fang Ge Jiao Cai Tangmian dumplings also is a must. Besides the assorted vegetable stuffed steamed bun, the vegetables, edible fungus, cooked sesame fillings made, color bright white skin, appear in the fog in the little green, known as “Emerald”. In Gongyuan street, has a long history of greater fame is the natural Qi Fang Pavilion restaurant. Fang Qi Ge of five kinds of sesame oil dry silk, dry silk like needles, ginger can eat very delicious pin. Elephantopus sesame seed cake, just as its name implies, baked pancake shape grass sole, the level of 10 12 layer Elephantopus crisp pancake hands shoot is broken. osmanthus cake is a cake shop Lianhu pastries. Sweet scented osmanthus sandwich Lantern Festival from Nanjing traditional sweet small lantern festival development. Five small cake for five kinds of shapes, crisp and soft. Thin skinned dumplings dumplings and fish in silver surface is the way the Chinese noodle pastries. According to records, Nanjing city’s first dumplings dumplings is the first shop, known as one of the “Nanjing early four”. Smoked fish silver surface of noodles is specially made in the store, because of extremely fine and like silver in general, smoked fish silver surface when, the sprinkle noodles into the boiling water pot, to be floating noodles quickly provoked, the drying of water, pick into the bowl in a comb shaped, covered with homemade smoked fish. Confucius Temple of pool Pavilion teahouse in Quebec light, the imperial era is dedicated to the candidates set to fukao. Quebec light refreshments Pavilion teahouse is famous as one of the top ten China Yuhua tea to entertain all the guests. But to say the chief of cabinet light of the “main”, naturally spiced eggs and spiced beans. With the spiced eggs cooked, the next day is the best return. Spiced beans selection harvest green beans, first soak after boiling, entrance fragrant, salty sweet soft and tender.